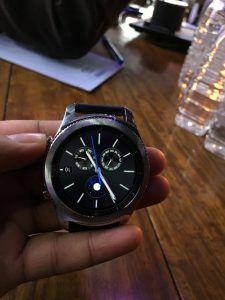 Samsunggear s3 – With an aim to deliver a timeless design with revolutionary features , Samsung Mobile India launched Samsung Gear S3 : Putting the ‘Watch’ in ‘Smartwatch’. 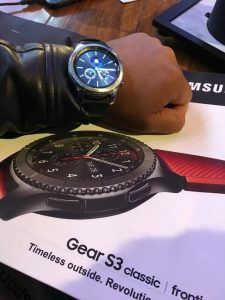 samsungGear S3 expanded Gear Collection with smart capabilities and sophisticated, elegant design, marking a significant addition to smartphone portfolio. Every features, from the circular bezel to the premium finishing and buckles, has been reimagined to elicit the look of a classic timepiece . 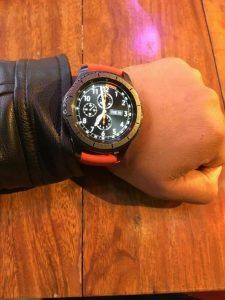 In addition , the samsungGear S3 is compatible with 22mm watch bands so consumers can easily personalize their watch to match any outfit or special occasion. 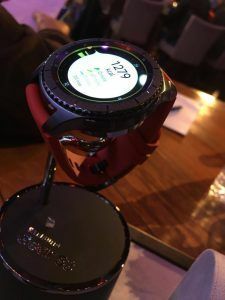 samsungGear S3 offers ‘hyper – connectedness’ with remote connectivity feature that allows the samsungGear S3 to receive phone notifications way beyond the limits of BT or WiFi. It is designed with consumers safety in mind . In case of an emergency , users can activate the SOS from the designated button to alert family , friends and emergency professionals about crisis situations. Both the Gear S3 Classic & frontier will go on sale from 18 January , 2017 and will be available in all leading sales channels at a price of Rs. 28,500/-. Samsung Electronics Co. , Ltd. inspires the world and shapes the future with transformative ideas and technologies. 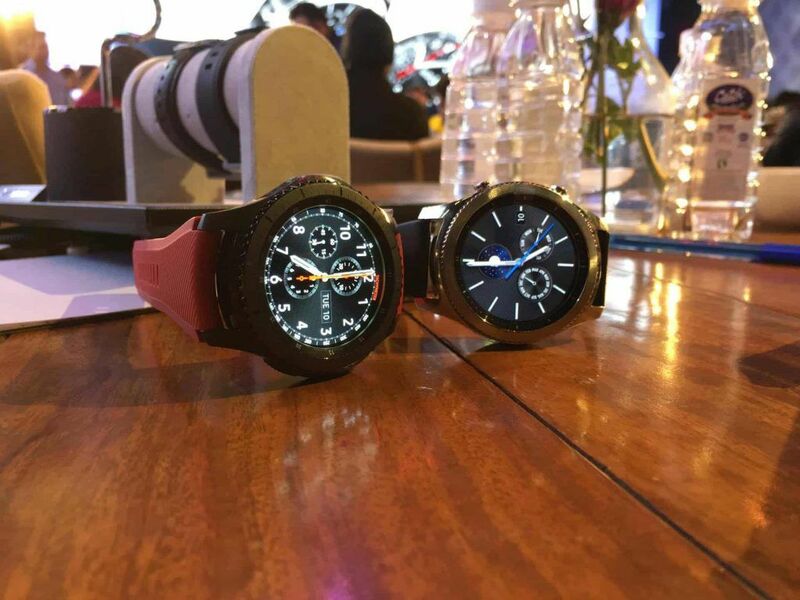 The company is redefining the world’s of TVs, smartphones, wearable devices , tablets , cameras , digital applications, etc. PREVIOUS POST Previous post: Life : Is it yours or of yours parents ?